Are you wondering about the benefits of IT Security? IT security can make or break a business. Optimizing IT governance and security can increase profitability 25 percent over firms not employing up-to-date security measures. That’s a significant increase in profitability. Can your business afford to ignore it? Thousands of companies already have gone broke over external and internal security breaches. Staying protected is becoming ever tougher and more urgent as workforces increasingly go off-premises, expanding layoffs expose companies to meddling of disgruntled former employees, and state-of-the-art policies are only sporadically enforced. While there are many benefits to IT security, this is an important one. Most companies now work with off-premises people who have password access. Basic passwords, and standard formats for email and password setup heighten vulnerability to intrusion. A frightening statistic is more than 1 in 10 former employees continues to have access to proprietary information after they have left the company. 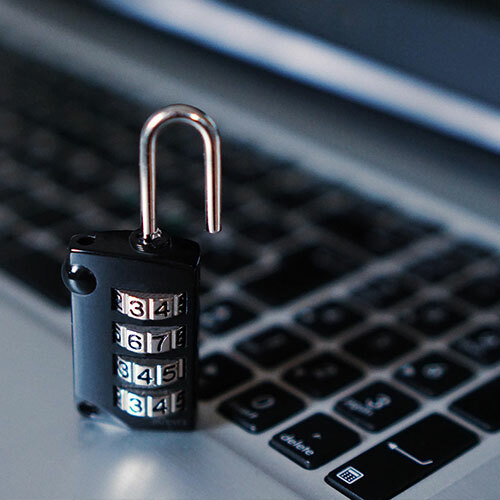 There are significant benefits to IT security by having policies in place to routinely change passwords but there is more that should be done to keep your business safe. Adding even more to the to the issue is that even when comprehensive security measures do exist, often employees and management are unaware of or unwilling to enforce them. This is a significant problem for companies of all sizes. Complicating matters further are increasingly sophisticated and dangerous cybercrime capers that continue to cost more than $300 billion a year, the arrival of new technologies that are creating new security challenges, and rising pressures to comply with more demanding regulations which for many seems to conflict with efficiency and therefore sees resistance. The way your business is vulnerable to cybercrime, hackers, and malicious intent continues to increase. Malware, Viruses, malicious applets, worms and more are proliferating faster each day. More than 20,000 new malware samples are detected daily. Bottom line is that security challenges are daunting. Fixes can require costly hardware and software such as unauthorized access detection applications, full disk encryption, and state-of-the-art antivirus protection—as well as expensive implementation expertise. The better solution is to take preventative care before it becomes a problem for your business. Mission Critical Systems in Denver Colorado, can help your business stay ahead of the growing wave of IT security concerns. In the instance your business does fall under a cyber-attack or gets infected with viruses or malware, our professionals can help you come up with the best way to handle the situation or fix the problem themselves if that is deemed the best course of action for your business. As security threats mount and become more complicated, and pressure to combat them becomes more intense, companies will be forced to deal with the consequences if they want to remain solvent. Whether that is internally or through a IT security specialist like Mission Critical Systems in Denver, Colorado. Being proactive now can save your business in the future.